dejiolaluweblog: Opinion: Is Mikel Obi a legend of Nigerian football, and in the category of Okocha and Kanu? 0 Opinion: Is Mikel Obi a legend of Nigerian football, and in the category of Okocha and Kanu? While his career is far from over, talks in football circles especially in Nigeria have already commenced on the possibility of Mikel Obi laying claims to legendary status as a Nigerian international. 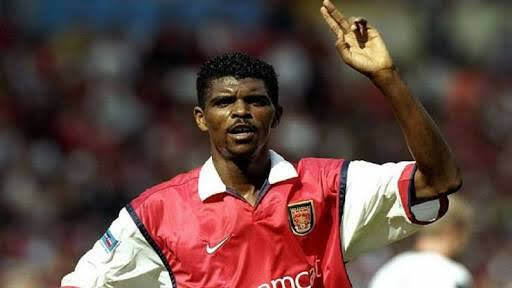 More so, people are arguing whether or not he belongs in the class of ex-internationals Okocha and Kanu respectively. People of course have different perspective on the issue. And that’s expected. Like the headline indicated, the issue comes in two parts. The first is that, is the former Chelsea defensive midfielder a Nigerian football legend? Second, is he in the class of Okocha and Kanu? To do justice to this discus, there’s need to first of all set measuring parameters for without such it becomes almost difficult if not impossible to dependably arrive at indisputable conclusions. And Legend or legendary according to the Oxford Dictionary of Current English could be (1) a traditional story from the past that may or may not be true, (2) a very famous person and (3) remarkable enough to be famous. Based on the second framework or criterion above, Mikel Obi can definitely be called a legend of Nigerian football. Yes, he’s a brand in his own right. He’s highly marketable because he remains a famous personality in Nigeria and the world at large for what he has been able to accomplished playing for Nigerian national team. For the records, he has won the African cup of nations in 2013 under late coach Stephen Keshi. He has also played in two world cups, 2014 and 2018 respectively where he could be adjudged to have had modest outings. And that should be sufficient to secure his place as a Nigerian legend. Though he did nothing that ticks one’s brain to stands him out of the lot all this while, but if his efforts are combined with his achievements at lower grades and club sides then his stature as a legend of Nigerian football is fully secured. But the topic is centered on Nigeria national team. He equally inspires. This can be seen from his days in age grades competitions and while he holds forth as the captain of super eagles. In fact, I could give a few names that towers above him in that respect. Name like Ahmed Musa rings a bell. He was a member of the 2013 Afcons winning squad like Mikel. And more so, he’d memorable times at both world cups of 2014 and 2018 respectively. Today, he’s Nigeria’s highest goal scorer of all time in the world cup with four goals. Another player is goalkeeper Vincent Enyeama. Well, we could say he belonged relatively to the older generation. Nevertheless, he's a legend of Nigeria football. 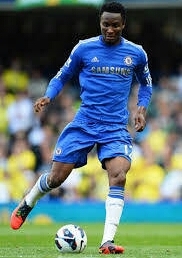 Of course, not forgetting defender Joseph Yobo. If you, however, like I mentioned earlier combine Mikel’s club achievements and contributions to all the national teams, then he would be head and shoulder above many of his compatriots. Now to the issue of comparing Mikel with either Okocha or Kanu. 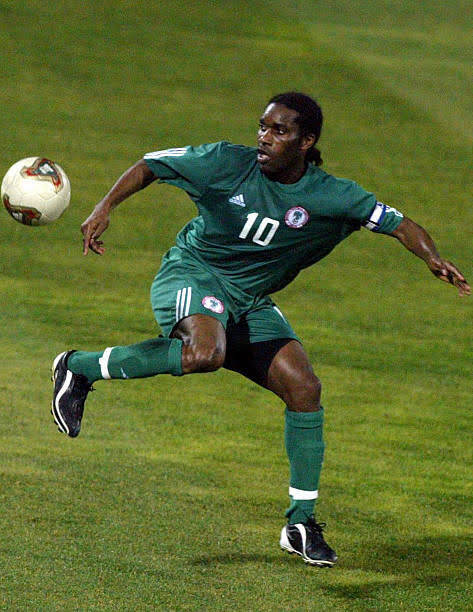 To start with, Okocha and Kanu have larger than life statuses in the memory of average Nigerians football followers. It would therefore be difficult for them to place him in their bracket. And this is not necessarily because they won more laurels than him at club or country levels. Also on the world stage, they will get more legendary votes than him most probably because they were attacking players revered for their ability to create split second magic moments. We all know how customary it has become over the century to rate forward players above others who play in other departments. Finally, because the duo has a lot of remarkable moments to reference during their playing days, they will continue to garner more legendary ratings than Mikel in the perception of the Nigerians and world football fans any day. Over all, I don’t think so far Mikel has had remarkable enough a career with the super eagles of Nigeria to overshadow or rival either Okocha or Kanu of this world as true legends of Nigeria football. And it’s left to be seen if he would ever be able to close the gap. Ever! But he lays somewhere in the midst. And he definitely deserves a mention; an accolade. But as a legend in their class, he’s far from it.